It appears that two variants of the upcoming Oppo Find X smartphone have received certification from 3C body in China. Early rumors surrounding the Find X had claimed that it would be equipped with Super VOOC flash charging that will allow users to charge it completely in just 15 minutes. The 3C listings of PAFM00 and PAFT00 models that are speculated to be the two variants of the upcoming Find X phone have revealed that it will be equipped with 5V/4A (20W) charging. The current R series of smartphones from Oppo also support the fast charging rate. The 3C listings of the Find X models have only confirmed the supported charging rate and have not revealed any details on their specs. According to a well-known industry insider, the upcoming Find X from Oppo and NEX from Vivo will be the first phones from these companies to feature a USB-C port. He has also claimed that these handsets will be also equipped with 3.5mm audio jack. In May, Oppo had unleashed its 3D structured light technology through a press conference. It is speculated that the advanced 3D facial recognition feature will be made available by the company for first time on the Find X. Apple iPhone X and Xiaomi Mi 8 Explorer Edition feature a bigger notch to house complex components such as infrared sensor, front camera, flood illuminator, dot projector, ambient sensor and proximity sensor. Hence, the Oppo Find X is also expected to come with a wider notch to house its iteration of Face ID. Since the 3D structured light module will occupying more space inside the phone, it may not feature the rumored 5x optical zoom periscope lens. As reported yesterday, the Oppo Find X may feature a 6.42-inch dual-edge curved display like the premium Galaxy S and Note series of smartphones from Samsung. It could be the first smartphone to feature “edge” display as well as a notch. According to another leakster from China, the screen of the Find X may support 1080 x 2340 or 1440 x 3120 pixels resolution. 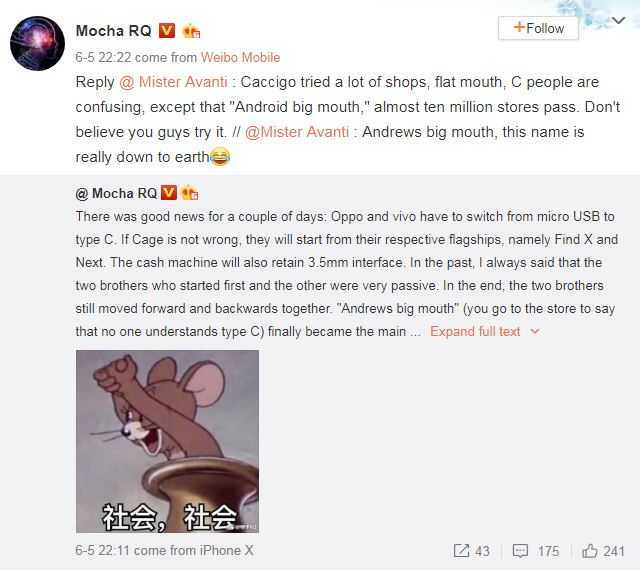 Interestingly, this tipster seems to be using the Oppo Find X for adding posts about it on Weibo. The other rumored features of the Oppo Find X are Snapdragon 845, in-display fingerprint scanner and 4,000mAh battery. Since two models (PAFM00 and PAFT00) have received 3C certification, it appears that one of them could be arriving with slightly lower specs while the other one could be a highest configuration model. 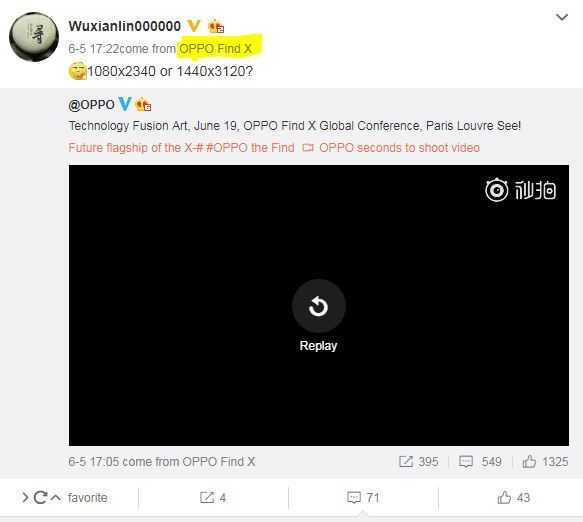 The appearance of Find N and Find S monikers on TMview’s website suggests that these could be the actual names of the PAFM00 and PAFT00 Oppo Find X models.